Her Majesty Queen Elizabeth II has today. 12th April. recognised Elsia Pop, of Belize as the 51st Commonwealth Point of Light in honour of her exceptional voluntary service preserving Mayan cultural heritage. In the lead-up to the Commonwealth Heads of Government Meeting in London on 19-20 April, Her Majesty The Queen - as Head of the Commonwealth - is thanking inspirational volunteers across the 53 Commonwealth nations for the difference they are making in their communities and beyond. 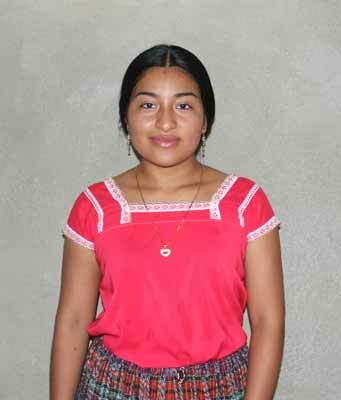 Elsia Pop, aged 18, is leading the preservation of Mayan cultural heritage in her community, which makes up 11.3% of the population of Belize. through traditional handicraft projects. Elsia interviews elders in her community to preserve their expertise of ancient techniques and customs, and trains young people in her village about their art, enabling them to produce clothes and jewellery they can sell to support themselves through school. Elsia has led a weekly handicraft class for 30 young people in her remote community since 2015, and handicrafts from her project have been displayed at the 'National Institute of Culture and History' and at community street art fairs that have attracted over 1,000 people. Last year Elsia was one of only 20 recipients from across the world of The Diana Award', receiving her award from Prince William and Prince Harry for her work ensuring young Belizeans can preserve their Mayan cultural heritage. Each Commonwealth Point of Light will receive a personalised certificate signed by Her Majesty The Queen as Head of the Commonwealth. Elsia's enthusiasm, determination and consideration for others are a beacon of inspiration to the Mayan community, and to all young Belizeans. She is an outstanding volunteer who has delivered significant impact on the lives of others through the creation of innovative approaches to social challenges. To earn one award would be a sign of fantastic achievement. but being recognised as a Commonwealth Point of Light is Elsia's third major international award Her dedication and selflessness are remarkable and all Belizeans have good reason to be proud of her."